The insurance landscape is being faced with sky-rocketing competition, involving tighter margins and customer preferences. This is causing insurance companies to alter their business models and improve upon process efficiencies. The insurance industry today is demanding strategies that surpass the scale of exposure and underwriting expertise. Making use of advanced analytics to monetize new sources of data is going to be the major differentiator in the insurance arena. The need of the hour today is an insurance analytics solution that focuses on driving out an excellent customer experience, while providing a crystal clear understanding of the market landscape. 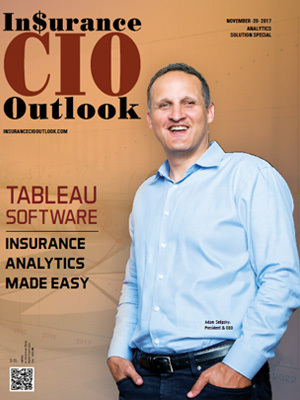 To help CTOs, CIOs, and CMIOs find the right insurance analytics solutions and services, a distinguished selection panel comprising of CEOs, CIOs, VCs, industry analysts, and our magazine’s editorial board has selected a list of security solution providers that exhibit innovative technologies and strategies. We have considered the vendor’s ability in building solutions and services that can effectively yet economically account for a productive insurance analytics solutions offering, keeping in mind the factor of time-focused delivery. 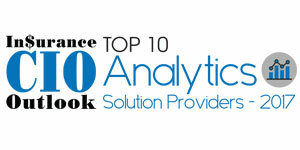 We present to you Insurance CIO Outlook’s Top 10 Analytics Solution Providers - 2017.